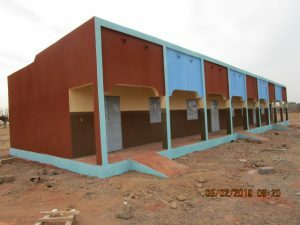 Opening its doors to pupils, the new three classroom block at Soulyale is another milestone in our efforts to create new opportunities for an excellent education at this rural school in northern Burkina Faso. Thanks to generous donations from the UK, the brand new school builidng is now being used by the rapidly growing number of pupils enjoying their education at Soulyale. Planned by the local commiunity, who have supported the work with materials and labour, this development is part of a much broader plan to transform Soulyale School and use what has been achieved as a model for future school developments.